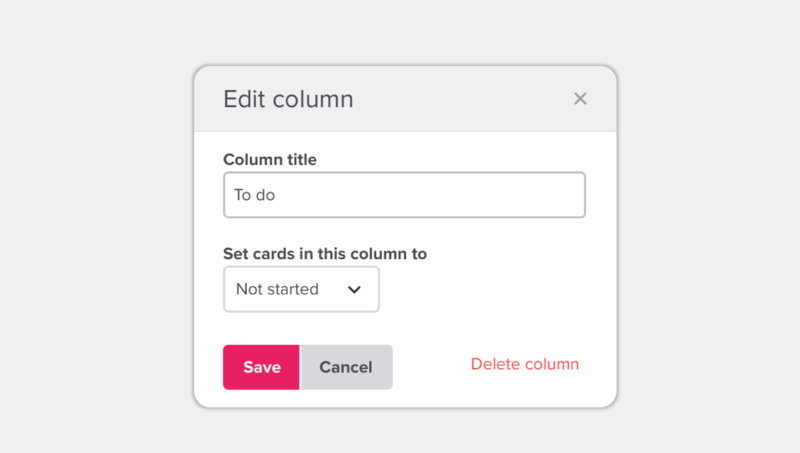 Columns can be added, edited and sorted to fit most workflows. To edit a column, press the arrow next to it. 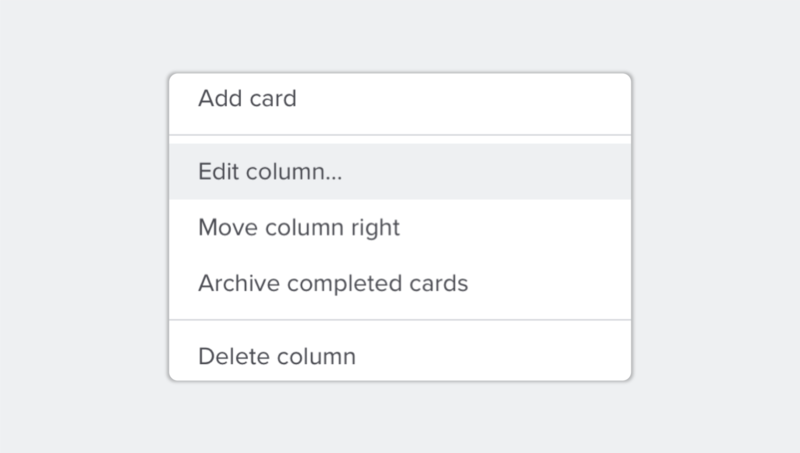 From the "Edit column" menu, you can change the name of the column and the system state of the column. To add a new column, press the "+" symbol.